On the left is a copy of the Jewell Family Crest. At this stage of my research I can't find any of my ancestors that can claim either an association or ownership of the crest. However I will kep searching. For information about the History of the Jewell name click here. 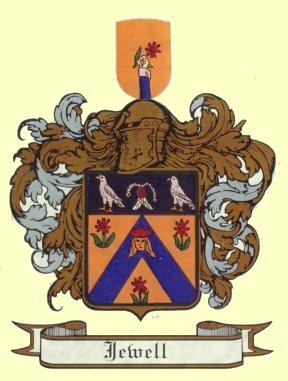 I also have other examples of the Jewell Family Crest. If ou would like to see them click here.